How long will 1000 litres of heating oil last? It's a question that's hard to answer! Read below to find out more. If you were to ask anybody how long any quantity of heating oil would last, it wouldn’t be an easy question to answer, since there are many factors which come into play. For some, buying 1000 litres of heating oil could potentially represent the potential to keep your home snug and warm for an entire year. For others, it could be just enough to see them through the winter months at a push. But one thing is for sure, keeping your home nice and cosy can be a challenge for a lot of households in the UK. 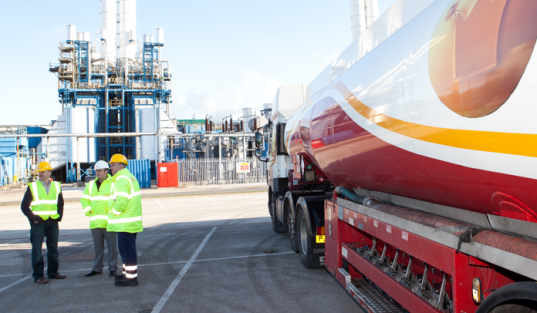 Here at Crown Oil, we understand that your latest heating oil delivery will need to last you at least long enough to organise your next top-up. But managing your oil levels isn’t always as straightforward as you would hope. In this article, we look at 1000 litres heating oil and the best way to go about making it last as long as possible. How long will 1000 litres of heating oil last? It’s a good question and unfortunately, it’s not an easy one to answer. Each home is different meaning that 1000 litres of heating oil may not last the same amount of time for everybody. If you have had heating oil in the past, then it may be worth noting your usage and fine tuning your orders. This will require a bit of tracking, but could save you a lot of money in over ordering or under ordering and being caught out with no oil. For those of you who are new to buying heating oil and figuring out the amount you need, then it is a stab in the dark when it comes to working out how long you have before your heating oil tank runs dry. Start with an amount which you can afford and try to aim in the middle of the least expected amount and the most expected amount of usage. Your first order should tell you a lot about your next order and getting it wrong is what most people do so don’t worry. Once you have a good idea of your usage, you can then look at ways of making this more efficient and less costly on every order. Which factors affect the consumption of heating oil? There are many reasons why one household’s heating oil consumption is more or less than another. 1000 litres of heating oil may last one home a year, and it may last one family three months. It may feel like you have a lack of control over heating oil usage, however, knowing your usage and costs will put you in a much stronger position and help put you in control. Below are several areas of your home which may be affecting the levels of heating oil in your tank. Your storage tank is always a good place to start when you’re worried about your heating oil consumption. Recently, more and more people are becoming targets of heating oil theft. Make sure your tank is secure from thieves but also that its condition is unimpaired as a leak may be costing you a lot of money in fuel bills. Your tank will keep heating oil safe from contaminants so if you can make your oil last the year round, do it. If you have an old boiler, then your heating oil levels may be suffering from the lack of efficiency left in your old piece of kit. For the cost of wastage in heating oil it would probably be advisable (over time) to invest in a more efficient boiler. The weather in England will always be rainy. However, colder weather will more than likely have you reaching for the thermostat more than the months of summer. When it’s warm, try to make the most of it and refrain from putting on the heating unless you have to. Lots of homes lack proper insulation and sometimes homeowners have their insulation done and never revisit it. A poorly insulated property will lose valuable heat and force your heating system to work over time. This will obviously burn more fuel which is escaping out of your home rather than heating it up. Two bed or not two bed…. The size of your home is obviously one of the major factors that most people can’t control. It also makes the question ‘how long will 1000 litres of heating oil last me?’ Pretty hard to give a definitive answer. A larger house will always use more heating oil to heat it up as opposed to a smaller house. Another major contribution to the usage of heating oil is the number of family members in your home. More hot water is required for washing; there is a higher chance of someone switching the heating on when they don’t know it has just been on, and incoming and outgoing traffic in the house can mean heat escapes on a much more frequent basis. Some people find that having alternative heating methods such as log burning stoves can help reduce the consumption of heating oil. The more ways you can heat your home without turning on the boiler, the less fuel you’ll need. Having a backup method of heating your home can also be a life saver if you run out of heating oil and can’t get a delivery for whatever reason. Give us a quick now call now on 0845 313 0845 to get the latest price on heating oil.